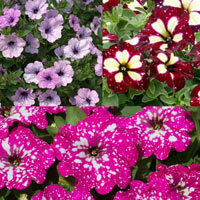 Bright, bold, bursting with life these excellent trailing plants are a top choice for the garden. 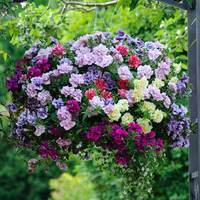 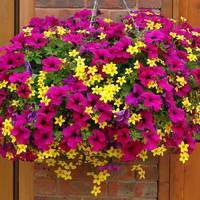 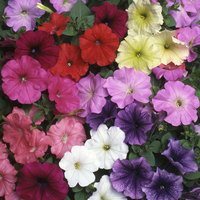 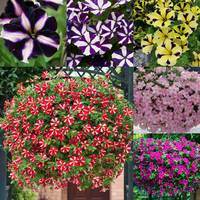 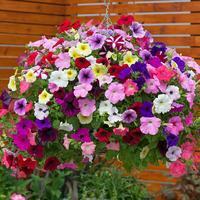 With their abundant cascading flowers Petunias allow you to create an eye catching display in your hanging baskets, planters and window boxes. 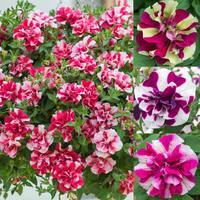 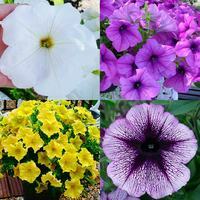 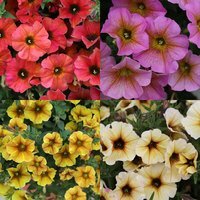 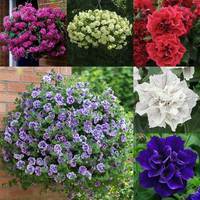 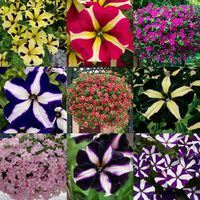 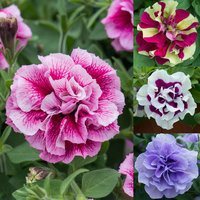 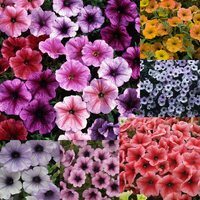 Boasting a huge variety of colours and shapes including double and single flowers, veined, picotee or bold pure shades you will easily find the ideal Petunia flower for you in our online range. 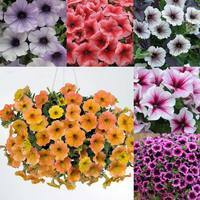 UK grown Petunia plug plants supplied.